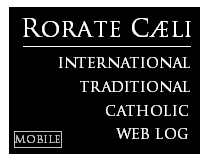 RORATE CÆLI: Pontifical Family Council President Paglia: "World Family Meeting in Philadelphia open to homosexual couples." 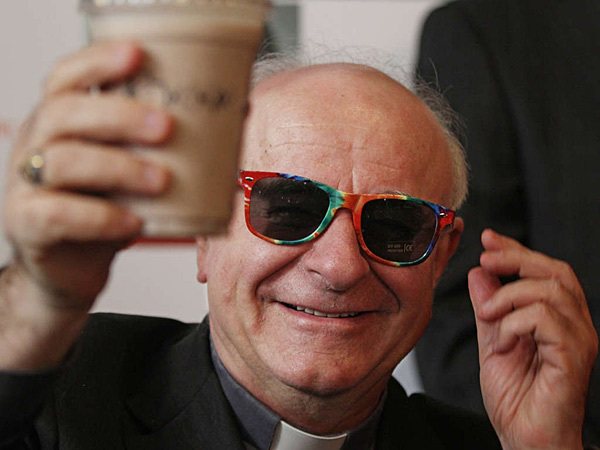 Pontifical Family Council President Paglia: "World Family Meeting in Philadelphia open to homosexual couples." “Everyone is welcome, nobody is excluded”. With these words Monsignor Vincenzo Paglia, President of the Pontifical Council for the Family, replied to the questions from journalists at a press conference for the presentation of the eighth World Meeting of Families, planned for the 22nd to the 27th of September in Philadelphia. Asked about the presence or non-presence of homosexual couples in Philadelphia, Monsignor responded: “We are following Instrumentum Laboris on the Synod to the letter. Everyone can come, nobody is excluded. And if anyone feels excluded, I’ll leave the 99 little sheep and go and get him”, he added with a quip. “The intimate connection” between the meeting in the USA and the Synod, specified Monsignor Paglia, “is evidently not only temporal. 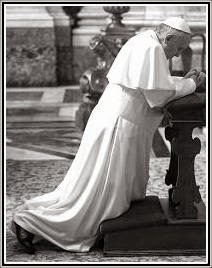 The hope is that the meeting in Philadelphia and the Synod in October may truly build an ecclesial and social season, characterized by a renewed focus on the family. We want to work towards this. We want the Gospel of mercy proclaimed in the great cities of the world, most of all in the poorest and most marginalized quarters.” (SIR).